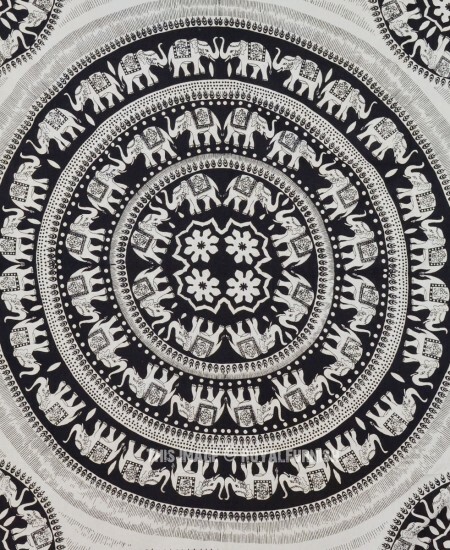 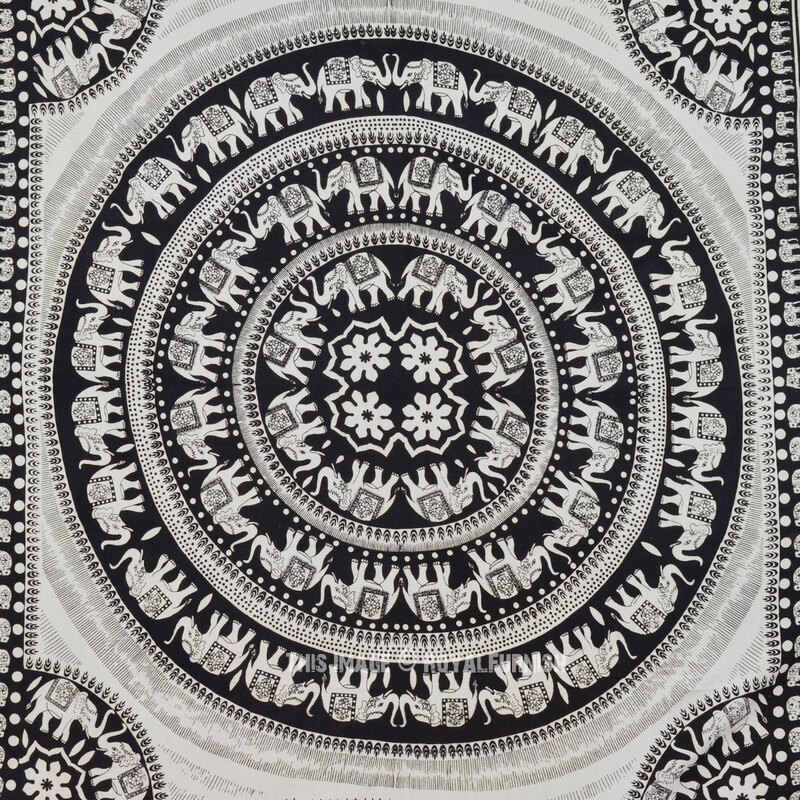 Add a distinctive touch to your bedroom space by hanging Indian elephant mandala cotton tapestry. 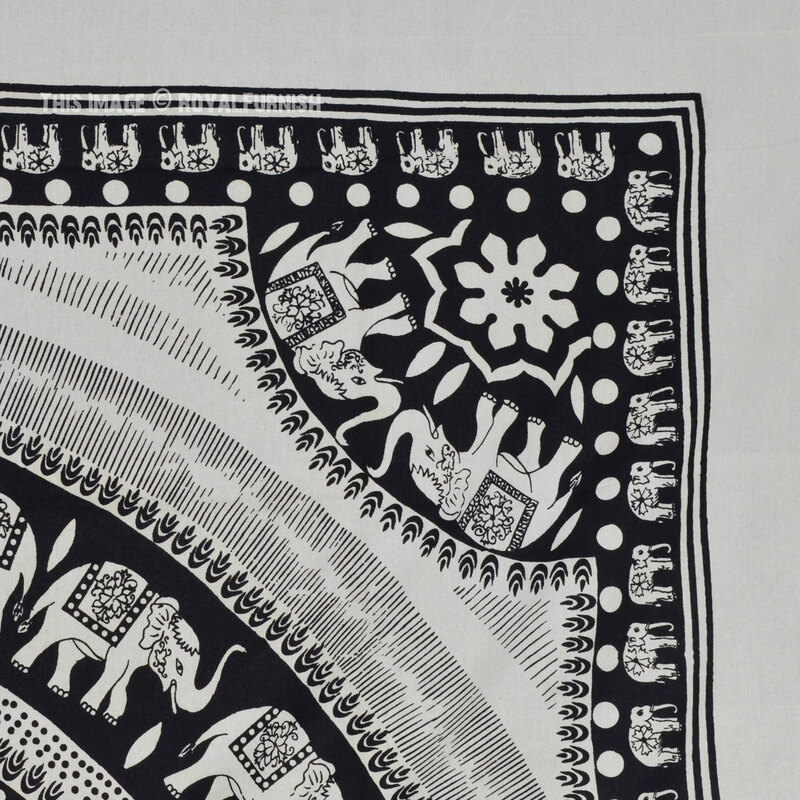 Constructed from 100% cotton, this tapestry is high in quality, durable and skin friendly. 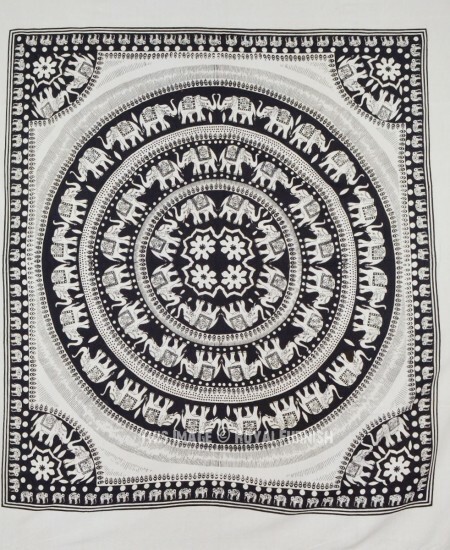 One special feature that this tapestry wall hanging boasts of is the excellent colourfastness that allows tapestry not to fade away even after repeated usage and wash. 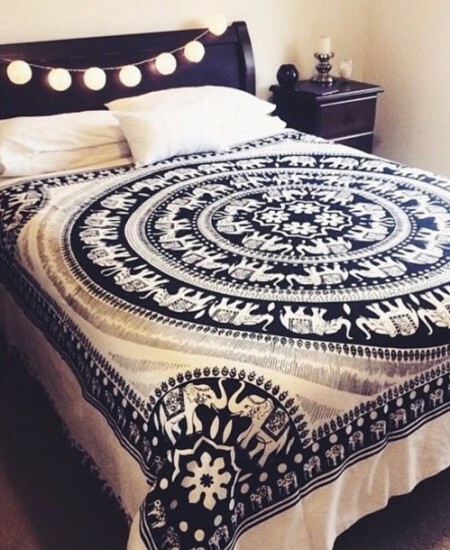 The elegant colours used in this wall hanging/bedspread will match your bedroom decor. 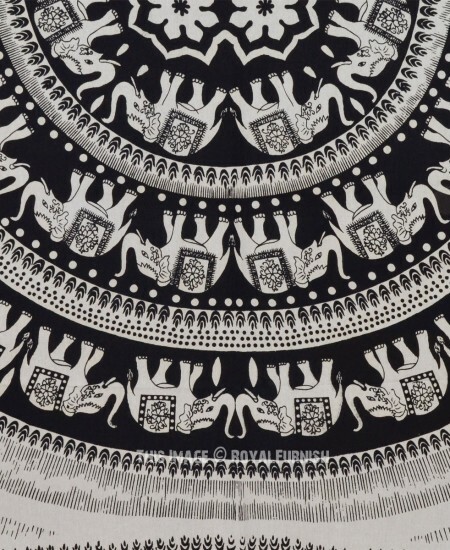 The charming floral and striped designs add to the beauty of this tapestry. 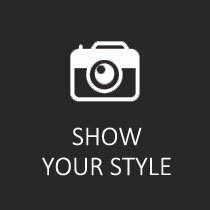 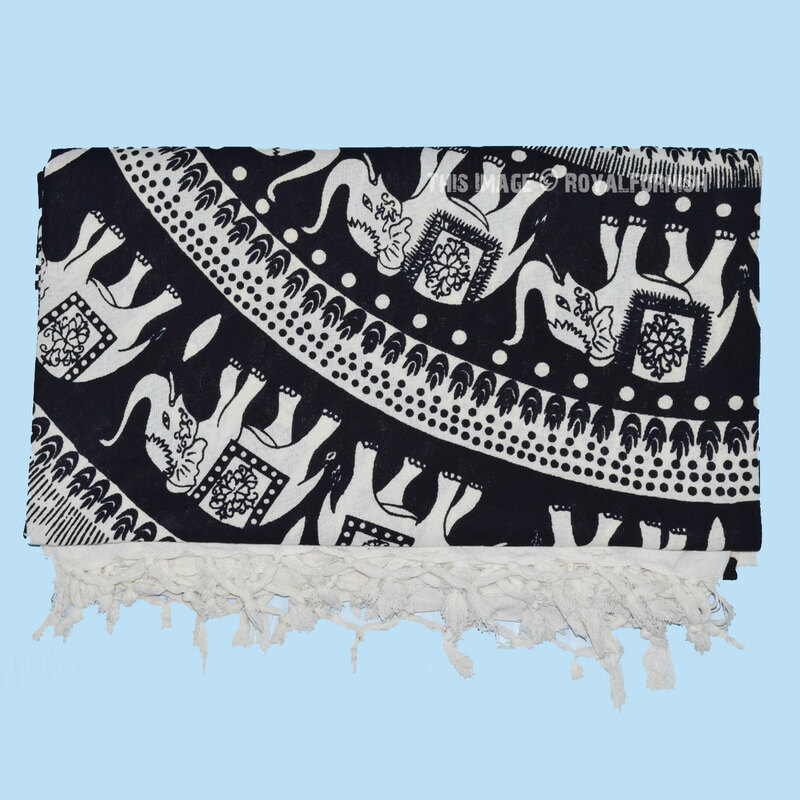 The tapestry is multipurpose item can be used as wall hanging, bed cover, table cover, college dorm room wall hanging etc. 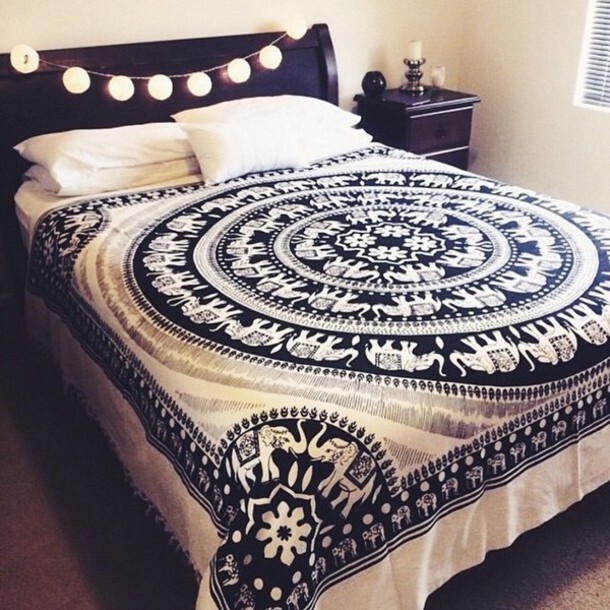 The tapestry can be used into college dorm & bedroom. 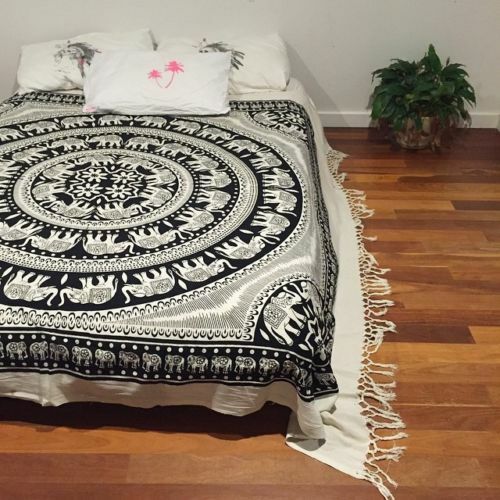 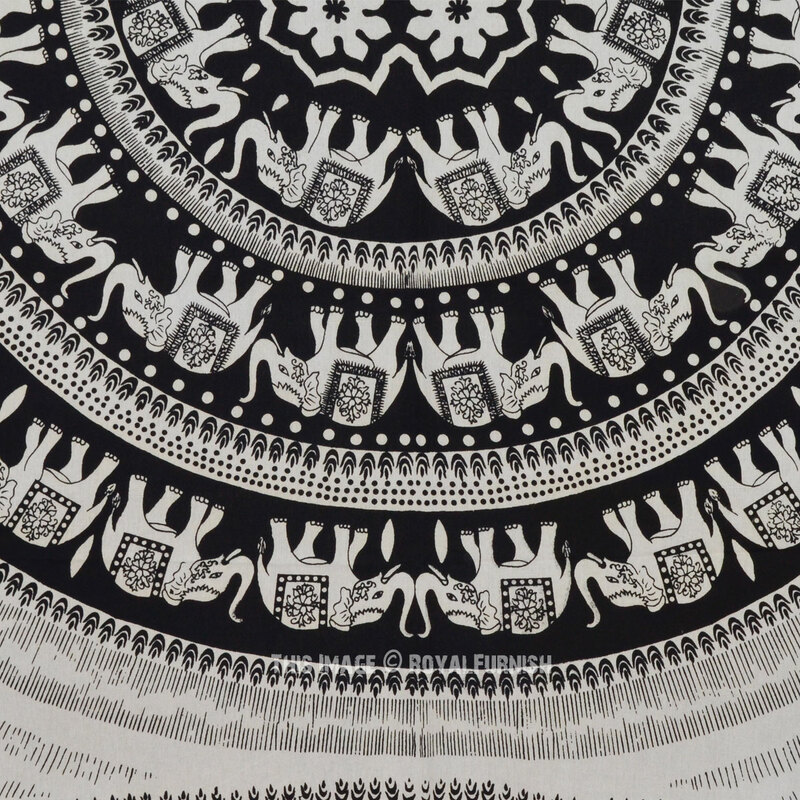 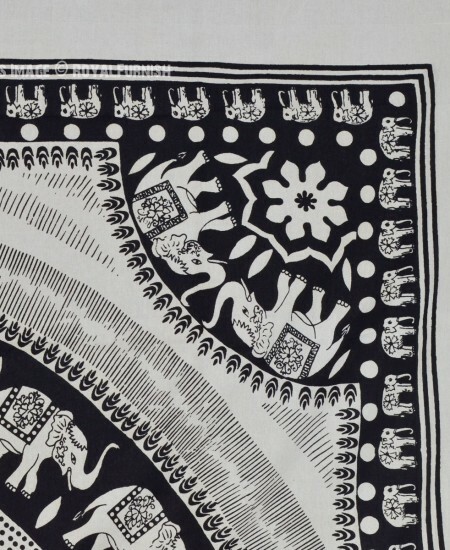 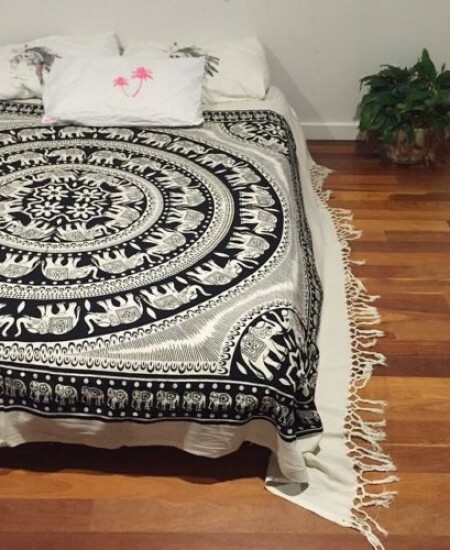 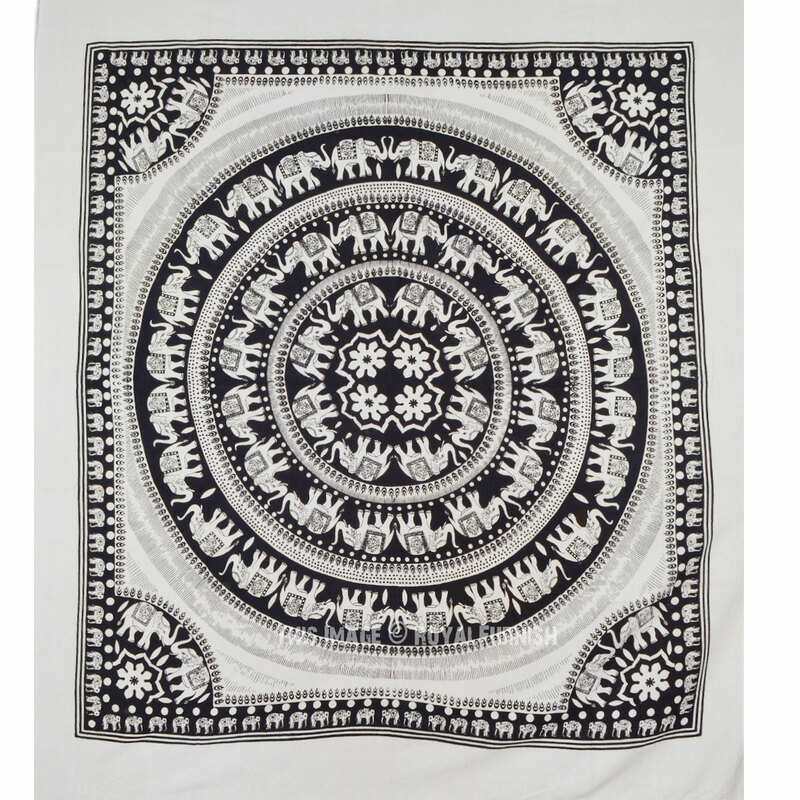 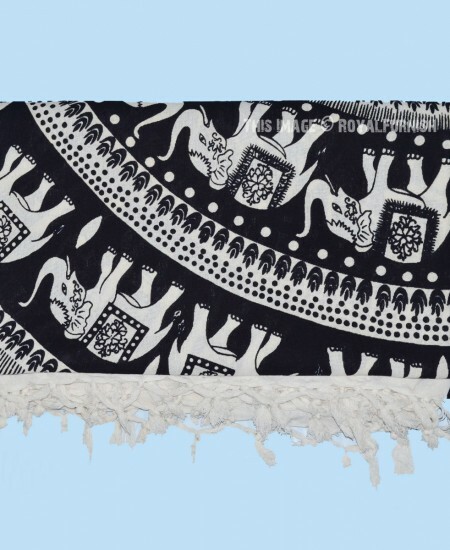 Black and White Elephant Mandala Fringed Tapestry Indian Bedding Bedspread added to the cart!